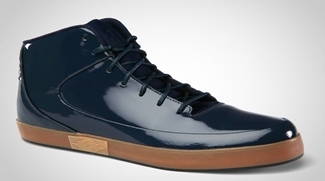 Jordan Brand Holiday Collection 2011 will be bannered by impressive basketball sneaker, but casual shoes like the Jordan V.9 Grown will also have a share of the spotlight. This Holiday Season, the Jordan V.9 Grown will be released in Team Red/Gum Medium Brown and Dark Obsidian/Gum Medium Brown colourways. 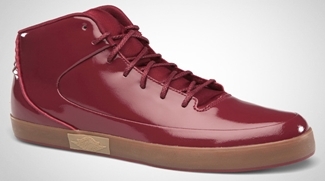 Both of the shoes, which features a patent leather upper that sits on a gum midsole, looks very promising. So if you are looking to spice up your getup this Holiday Season, make sure to grab one!